Champagne is the name for wines produced in the Champagne region in France. 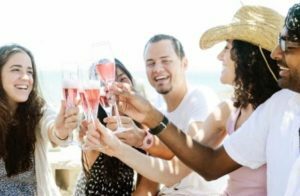 Many believe that Champagne is a general term for any sparkling wine, however this is incorrect. A wine can only be called Champagne if it is produced in the Champagne appellation and made in accordance with regulations set by the CIVC (Comité Interprofessionnel du vin de Champagne). The Comité Interprofessionnel du vin de Champagne was established in April 1941, in reaction to the German occupation of France. Monsieur Robert-Jean Vogüe, who at the time was heading Moët & Chandon, took the initiative to negotiate with the Germans concerning the requisition and strict control of the Champagne trade under the occupational power and Vichy regime. Nowadays, the committee still embodies the same philosophy, however has further developed it, endeavouring to protect and represent the Champagne community and its economic interests at home and abroad. 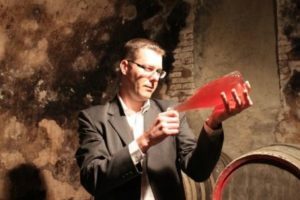 The CIVC is influential in many aspects of the Champagne industry, including setting prices, regulating harvests and providing education to consumers. 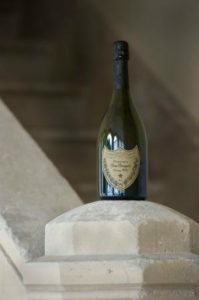 However, one of its most prominent activities is to safeguard the name of Champagne. In 1891 the Treaty of Madrid established the rule that only wine produced in the Champagne appellation could bear the name. This was then reiterated in the Treaty of Versailles after World War I and the region then obtained official AOC recognition (appellation d’origine controlee) in 1936. The CIVC has embarked on several legal cases, challenging other countries and international producers of illegally using the term ‘Champagne’ and now over 70 countries world-wide have adopted the legal recognition of this term. In 2008, more than 3000 bottles of sparkling wine produced in California labelledwith the term ‘Champagne’ were destroyed by Belgian government authorities. The village of Champagne in Switzerland had traditionally been producing still wine labelled as ‘Champagne’. The production dated back to 1657 and the name related to the village itself rather than the wine. In 1999 the Swiss government conceded to demands of the CIVC, agreeing that by 2004 they would completely phase out the name on the bottles. As a result, the average annual sales dropped from 110 000 bottles to 32 000 bottles. In 1993, internationally renowned brand Yves Saint Laurent launched a perfume called ‘Champagne de Yves Saint Laurent’. The CIVC challenged the product’s name and won the legal battle, forcing the company to pay compensation and withdrawing all sales in France. The name Champagne has long been the envy of other sparkling wine producers, however many have now established their own recognised terms such as Prosecco in Italy, Cava in Spain and Crémant throughout the rest of France.